80% Cabernet Sauvignon and 20% Merlot Sweet cassis and cream, layered blackberry flavours and a bold, structured and pure palate. This really delivers. Classically styled body but this pulls no punches. Excellent Pauillac. Drink 2022-2042. Neal Martin (91-93 points) "The 2017 Grand Puy Lacoste was picked from 15 to 29 September cropped at 45hl/ha, matured in 75% new oak. It has a clean, precise and conservative bouquet that takes time to open. I like the mineral tension here, the focus, and hints of freshly shucked oyster shell emerging with time. 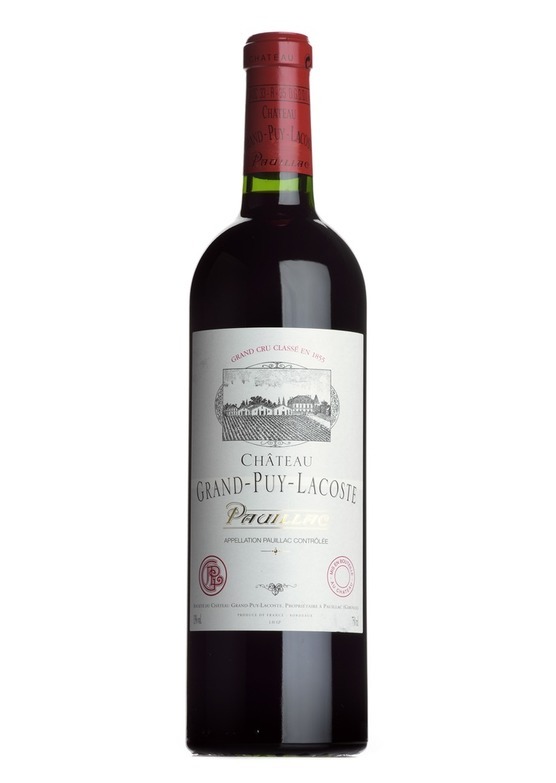 The palate is medium-bodied with fine grain tannin, fresh in the mouth with plenty of cedar and tobacco-infused red and black fruit that drive a long, slightly peppery finish. It is a quintessential Grand Puy Lacoste, sans the frills of the 2016 and yet you can already imagine this being drunk to the very last drop in about ten years time. It is simply a very likeable Grand Puy Lacoste in the making. Tasted twice with consistent notes.. Drink 2022-2042."